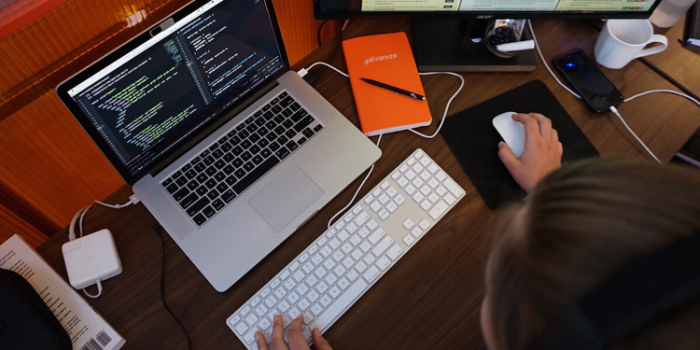 IBM and Galvanize announced yesterday new cognitive, cloud and data science training initiatives on IBM Cloud, which will aim to increase the talent pool of cognitive developers and data scientists. This partnership will work to bridge the emerging skills gap for professionals by tapping the accessibility of cloud to bring an advanced cognitive and data skills curriculum to a broad range of global developers and data scientists. This extension of the two companies' partnership consists of the new IBM Cognitive Course, delivered digitally through Bluemix, IBM's cloud platform. The collaboration also provides physical spaces for training and education through the new Cognitive Builder Fair Initiative and the Cognitive Builder Space, both of which provide opportunities for hands-on learning and access to cognitive and data science experts. The curriculum will be hosted on IBM Bluemix, which provides the foundation and services for a range of development environments, including the Watson Data Platform, the Watson Developer Cloud Platform and the IBM Data Science Experience. The first Cognitive Builder Space opened yesterday at InterConnect, IBM's annual cloud and cognitive conference, and features tutorials led by cognitive and data science experts. Technology advancements in artificial intelligence are moving rapidly. As is the case with any budding industry, a skills gap is emerging in which the market doesn't have enough experienced developers to address the growing demand for cognitive and AI development. IBM and Galvanize together will bring cognitive skills and data science curriculum to individuals interested in some of the most lucrative careers in tech and in helping bring to bear the benefits of man and machine. "There is simply more demand for cognitive and AI development skills than currently exists in the market," said Willie Tejada, IBM Chief Developer Advocate. "We want to help developers access the skills required to pursue some of the most lucrative jobs in tech, while supporting business by increasing the talent pool. The cognitive and AI revolution is upon us, and together with organizations like Galvanize we can advance the state of technology innovation and increase contributions from more people than ever before." "Galvanize has an established mastery and proven track record of success in teaching data scientists and developers in an immersive setting... Galvanize will craft and teach a curriculum that will integrate IBM's skills and subject matter expertise," said Jim Deters, CEO of Galvanize. The new programs integrate IBM's skills and subject matter expertise in data science and cognitive development with Galvanize's immersive learning philosophy and deep community of students, startups and instructors. IBM is among the first major cognitive technology providers to design such a course to prepare next-generation developers and data scientists for new collar jobs that support the fast pace of innovation in this area. An online, self-directed, four-week program led by Galvanize and hosted on IBM Bluemix. The approximately 40 hours will cover an introduction to machine learning and AI and the business problems these cognitive technologies can solve; prototyping cognitive products with Watson APIs; emerging roles from architect to developer and operations; and challenges of building a cognitive system in its entirety. Developers representing a major systems integrator, a venture capital group and a leading retail chain are anticipated to be among the first to receive the IBM Cognitive Course at the IBM India Labs. The initiative will house a series of events in Austin, Denver, New York, San Francisco, Seattle and Boston. These two-day builder fairs will include workshops, tutorials and hands-on labs. The events will also provide a forum for local cognitive developers and data scientists to exchange ideas, as well as engage in hackathons at which participants can use cognitive solutions to tackle major social, environmental and business challenges. The initiative will bring the cognitive and data science learning communities together for in-depth training sessions, networking events, meetups, hackathons and competitions. They will include space where developers and data scientists can participate in hands-on opportunities with data science and cognitive technologies. The communities will have access to IBM and Galvanize 'office hours' in these spaces – the first of which will be available this week at InterConnect. This partnership extends the relationship between IBM and Galvanize, which was founded in 2014 with the launch of IBM Bluemix Garages. The San Francisco and New York locations of the IBM Bluemix Garage network are hosted within the Galvanize campuses in those cities. Also located in London, Toronto, Melbourne, Nice, Singapore and Tokyo, IBM Bluemix Garages serve as a hub where developers, product managers and designers can come together to build. These new initiatives also continue IBM focus on equipping developers with educational resources. The company recently announced its partnership with TopCoder and the introduction of an AI Nanodegree program with Udacity to help developers establish a foundational understanding of AI. In addition, the IBM Learning Lab features more than 100 curated online courses and cognitive uses cases from providers like CodeAcademy, Coursera, Big Data University and Udacity. IBM DeveloperWorks offers how-to tutorials and courses on IBM tools and open standard technologies for all phases of the app development lifecycle. InterConnect is IBM's cloud and cognitive conference where more than 20,000 developers, clients and partners are being introduced to the latest advancements in cloud computing through 2,000 sessions, labs and certifications.